Beginning with the restoration and interpretation of the Morton Morton House on Darby Creek and systematically evaluating other significant historic sites, the Norwood Historical Society will become a continuously evolving repository for the history of the Borough of Norwood. Our vision is to be a vehicle for educational and cultural time travel to the past, present and beyond. 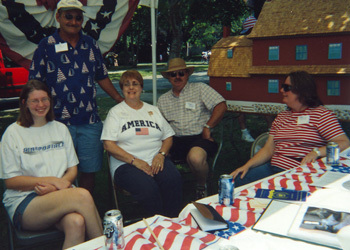 The Norwood Historical Society, Inc. is a relatively young organization having its start in 1999. The organization is a private non-profit foundation incorporated within the Commonwealth of Pennsylvania. Monthly meetings are held at 7 p.m. Meetings are held in the historic Morton Morton House except during January, February & March when they are held in the Norwood Municipal Building (See directions below). 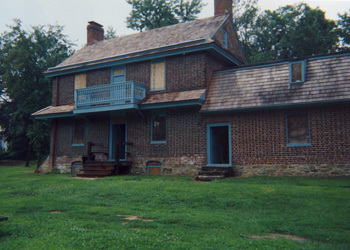 The Morton Morton House is located at the confluence of the Darby and Muckinpates Creeks. Secluded and hidden in a residential area of the Borough of Norwood, Delaware County, Pennsylvania. The House was built around 1750 by Morton Morton (1701-1781) a great grandson of Marten Martenson who settled in "New Sweden" in 1654. 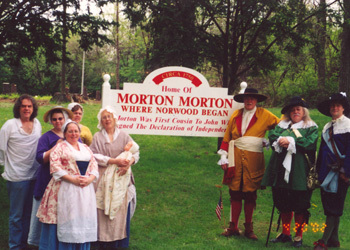 Morton Morton was first cousin to John Morton, one of the signers of the Declaration of Independence. The Morton Morton House was owned by Morton's decendents until 1873, then became home to various families until it was abandoned in the 1930s. 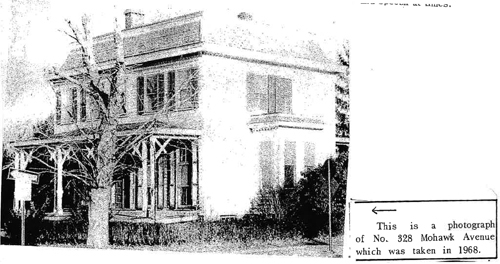 The Borough of Norwood owns the Morton Morton House. The Morton Morton House is listed on the National Register of Historic Places. The exterior of the Morton Morton House underwent extensive restoration completed in October 2005. 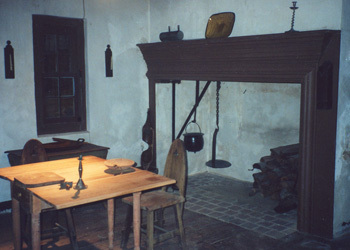 Stage 2, restoration of the interior of the House, is underway. 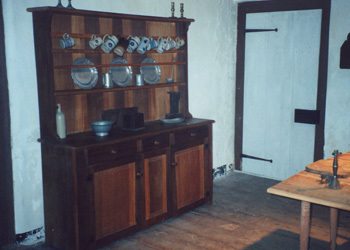 Fundraising for the interior restoration has begun. 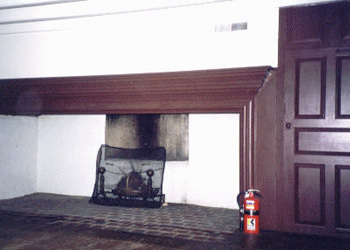 Donations of $50 or more are acknowledged by placing the donor's name and location, or a phrase in memory of (a loved one's name) on a Benefactor's Plaque installed in the formal room of the Morton Morton House. Donations are tax-deductible and greatly appreciated. Interested parties may call Judy Anastasi, president at 610-583-3002. Check out these additional photos of the Morton Morton House by photographer Adam Cooperstein here. 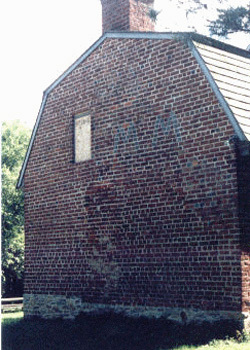 To read more history on not only Norwood but also Ridley Township please visit Ridley Township History's website. Take Route 13 Chester Pike (North) to "The Arch of Norwood" at Winona Avenue. Make a right follow East Winona Avenue down to the bottom of the hill. Bear right along the park, keeping the park on your left. Continue on Winona Avenue until homes appear on your left. The entrance to the Morton Morton House is just past the fourth set of twin homes. Take a left and follow the road down to the right, bear left when you come to the "V" in the road and follow that back to the Morton Morton House. See map below if you need more help. Enjoy your visit. Each summer starting June to the last week of September, the Morton Morton House will be open to the public for tours on Sunday afternoons from 1 p.m. to 4 p.m. excluding Labor Day weekend. Admission is free; donations are very much appreciated and will be used to continue the restoration of the Morton Morton House. Additional tours can be arranged by calling the Norwood Borough Office at 610-586-5800. 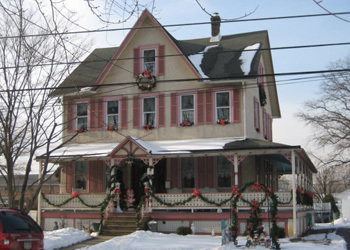 The Norwood Historical Society, Inc. presented their 1st Historical Preservation Award at the December 6, 2010 holiday party to Mr. & Mrs. Joseph Garrity for their well preserved Victorian style house located at 537 Mohawk Ave, Norwood, PA. 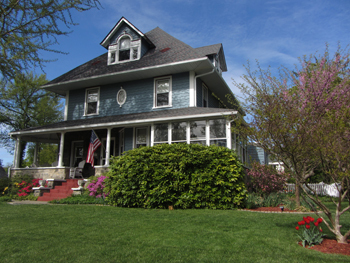 The house was built in 1889 and has been owned by the Garrity's since 1967. A 2nd Historical Preservation Award was presented at the holiday fund raiser on Sunday Dec, 11, 2011 to the Hartunian family. The house is a classic Victorian Style built around 1894 by Charles Lincoln Shaw as a home for his family. Mr. Shaw owned a straw hat factory in Philadelphia called The Shaw & Ewing Hat Factory. 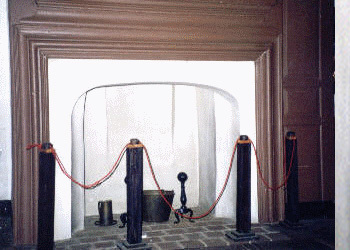 The wrap around porch in front of the house is original wood; the third floor has an upper round porch; the second floor bedroom has a walk-out turret. The Hartunians have lived there since 1984. It was with a great deal of pleasure and pride that our 3rd Historical Preservation Award was presented to the Evans family at our December holiday party. 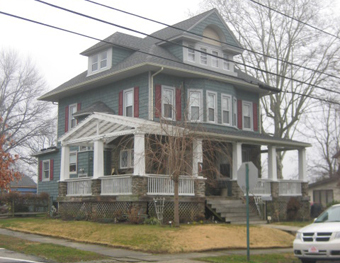 The Evans Victorian home is at 111 Leon Ave., Norwood. The house was built in 1913 and the Evans family has lived in the home for 29 years. They have spent much time and effort restoring this Victorian beauty. Stasky 230 W Ridley Ave. Norwood. Mr Stasky has lived in this beautiful victorian home for 17 years. The 5th Preservation Award was presented in December 2014 to Dawn and Joe Butler. The home at 229 West Winona Ave. was built in 1904 as part of a 1903 land sub-division of the property of John Duffee. 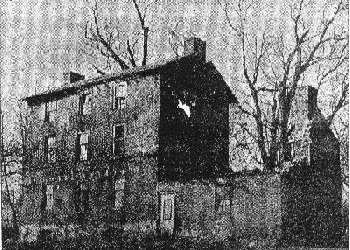 The first recorded sale of the property and house took place in November 1905 for the sum of $1,500.00. The Butler's purchased the home in 1994 and have spent the last 20 years raising a family and restoring the home, keeping or replicating as many of the original features as possible. Our 6th preservation award was presented to Frank Boyle, lll for the Henderson Farm House. The Henderson Farm House is one of the oldest properties and homes in Norwood. 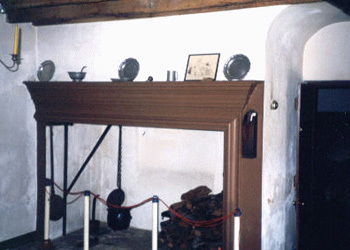 Andrew Morton left the property at his death to his son Morton Morton in 1741. Through marriage the property passed to the Grantham family; later sold to Matthew Henderson in 1833. 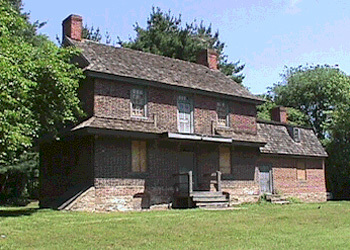 Matthew Henderson built the Henderson Farm House between 1833 and 1840. In 1889 Rueben and Anna Bonsall purchased the farmhouse. Their son and daughter in law (Burton and Emma) along with their daughter Anna lived there until their respective deaths. Anna Bonsall married Frank (PRO) Boyle and they resided there from the 1950's. Anna Bonsall Boyle (99) died in the same house where she had been born in October 2102. Frank Boyle (95) died in December 2014. 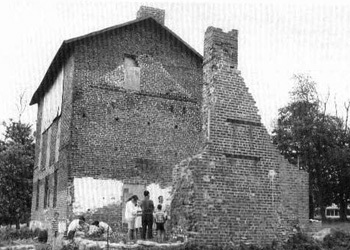 The Henderson Farm House passed to Anna and Frank's son, FrankBoyle lll, and his family. Henderson Farm House 125 Henderson Ave, Norwood. Our 7th Presevation award was presented to Anna and Paul Iverson. Their Victorian home is located at 328 Mohawk Ave. 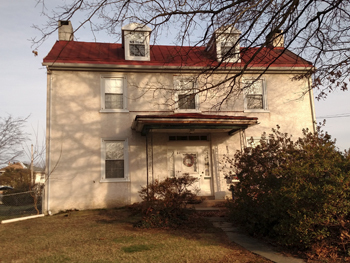 The home was built circa 1880 by Kreeger and Connolly, manufacturers associated in business in Philadelphia. The Iversons have styled inside their home in Victorian fashion reflecting a gracious lifestyle of a bygone day. Built in 1890 by Matthew Henderson, a retired farmer to open a country store. 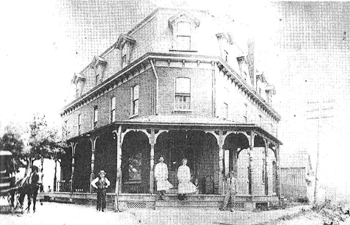 The Henderson Family owned the store for only a few years before selling it to Thomas Parkinson. The Parkinsons ran the store for almost 50 years, and after them it became a 5 & 10 Cent Store. On October 24, 1965 the Davis Family moved their Davis Trading Post into the building. The Davis Family began as a drugstore at 810 Winona Avenue in 1936. Today's Davis Trading Post from a photograph in 1890, shortly after it was built. 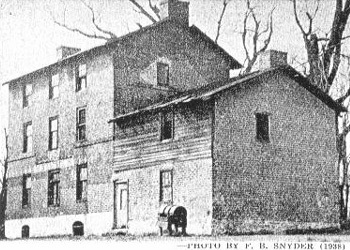 The original owner and building, Mathew Henderson, stands on the far left. His son Walt is in the middle and the man on the far right is unknown. Also above is a copy of one of the original newspaper ads. There will be a community cleanup at the MM House from 9 a.m. to 12 p.m. Volunteers needed; light refreshments will be provided. The Norwood Historical Society annual fund raiser will be held at the Morton Morton House. The event. " A Garden Party" will be held Sunday afternoon between 4 p.m. and 7 p.m. Reservations are required. The party will be outside the Morton Morton House, tables with umbrellas, (with a table inside) presentation of the 2019 historic preservation award, live music, with possibly and hopefully some dancing. To lighten the atmosphere Kentucky Derby hats are encouraged but optional. Catering by Famous Dave's and the Norwood Historical Society. Please call Judy Williams on 610-461-6621.for reservations and details on the menu. Price is $30.00 per person. Due to the content of the menu the event is for adults only. An exciting new annual program is being initiated by the Society to present a monetary award to a graduating senior with the highest mark in history at six Delaware county high schools. The high schools are: Academy Park, Bonner/Prendie, Cardinal O'Hara, Interboro, Ridley High School and Upper Darby Highschool. Currently the Norwood Historical Society is offering a unique collectible (number 1 in the series) sun-catcher / ornament of beveled glass depicting the Morton Morton House c 1750. Each gift is individually boxed, comes complete with gift wrap and bow for easy and classic presentation. The price, $20, includes Pennsylvania sales tax. For further information call Judy Anastasi, 610-583-3002. Note cards of the Morton Morton House are now available. 8 cards with envelopes depicting the Morton Morton House on the front, blank inside and historical information on the back priced at $10.00, call Maureen Olphert at 610-532-5520. Donations may be sent to Norwood Historical Society, Inc. Attn: Maureen Olphert, 10 W Cleveland Ave, Norwood, PA 19074. 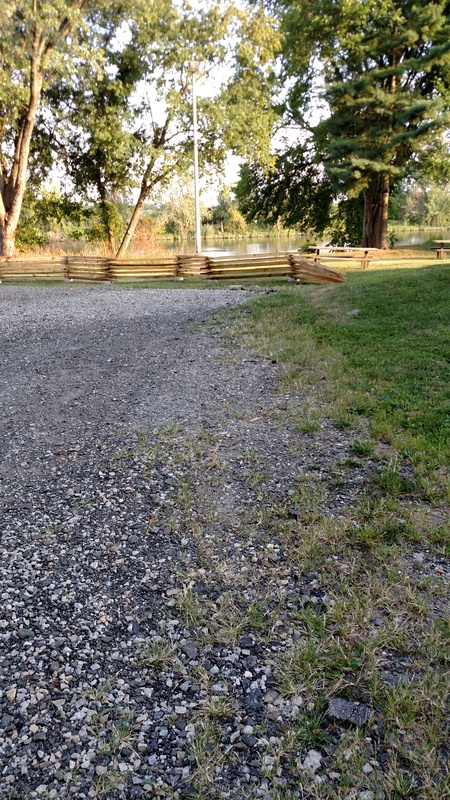 Donations are greatly appreciated and are targeted toward restoration of the interior of this historic site. Donations of $50 or more are acknowledged with the donor name on our Benefactors' Plaque.